This super powerful no rinse finish remover cut through layers of finish in minutes. 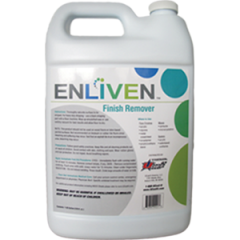 Enliven Floor Finish Remover is formulated to do the job and cut labor in half over conventional stripping products. 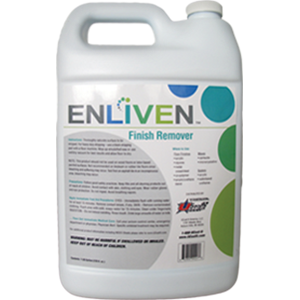 We recommend using Enliven Neutral Floor Cleaner after stripping to ensure a clean surface prior to re-finishing.